"My mission is to earn your trust and confidence through my professionalism, ethical approach and dedication to service." What makes a great realtor is the perfect union of diverse skills and personality committed to a single goal. With the diversity of the Colorado Springs real estate market, you need a Colorado Springs real estate agent that is involved at all price ranges and in all areas of Colorado Springs real estate. 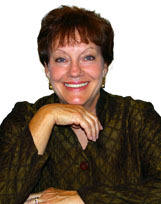 Sharon offers you the in-depth knowledge of Colorado Springs real estate and the Colorado real estate transaction. Sharon Colbert is a full time Colorado real estate broker, fully credentialed as Certified Residential Specialists ( only 40,000 real estate brokers in the United States carry this credential) and by the Graduate Realtor Institute. She is actively involved in civic and business endeavors in Colorado Springs. If you are relocating to Colorado Springs from another area, she prides herself on translating the lifestyle of your entire family to the Colorado Springs/El Paso County adventure! Whether you are moving across the country or across town let the expert help you. Sharon is your guide to Colorado Springs Real Estate and Homes for Sale in Colorado! The Colorado Springs Real Estate Market offers an array of exciting choices and possibilities. Homes for sale in Colorado Springs include loft living in Colorado Springs to the suburban lifestyle of neighborhoods like the Broadmoor, Briargate and the Tri-Lakes area. Whether you like the wide open spaces of Eastern Colorado Springs real estate or the heavily forested property of the Black Forest, Sharon is your real estate expert in Colorado Springs. Looking for investment real estate in Colorado Springs? My Colorado Springs real estate expertise in this arena is unsurpassed! If you are looking to buy real estate in Colorado Springs or sell your Colorado Springs real estate there is no Colorado Springs real estate agent who will better help you accomplish your real estate goals.